In 2013 we had to cancel our Hot Chocolate, Hot Cider, and cookies night due to bad weather. We put out a collection box so visitors could still leave a donation. We collected over $800, thank you! Friends of the Warwick Animal Shelter. 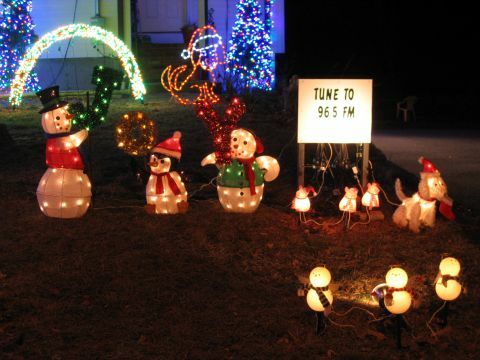 We had 35,000 lights on 300 channels for our 2013 display. 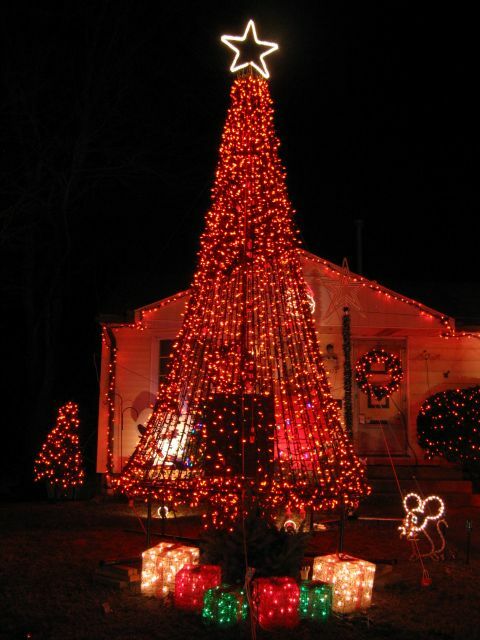 The MegaTree is 17’ tall and has nearly 10,000 LED lights. 48 channels control the lights allowing rotations and other effect combinations in red, green, and blue. The sign in the lower left corner counts down the days, hours, minutes, and seconds until Santa arrives each year! There are 20 mini trees along the front of the display, each has 4 colors (white, red, green, and blue) of LED lights. Each arch has 800 Red and 800 Green LEDs. There are 5 wreaths, each with 400 LEDs. Each color (white, red, green, and blue) on each wreath is independently controlled. 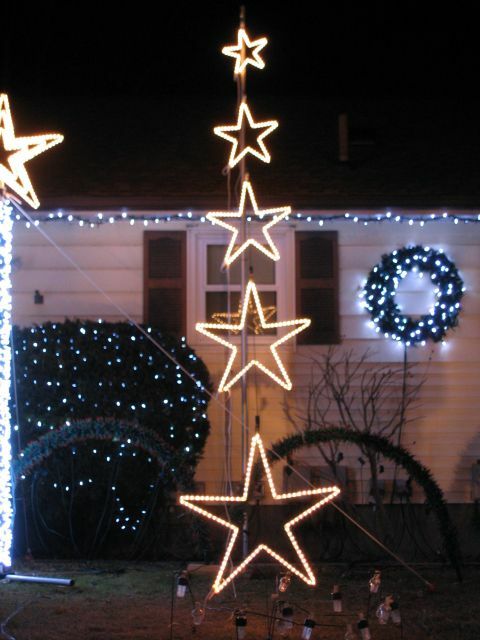 We added a Shooting Star back to our display, we used it in 2011 but did not install them last year. Xenon strobes at ground level are used to make it appear the star has impacted the ground. You can see this effect in the videos below. Snoopy looks happy while putting lights on his tree! 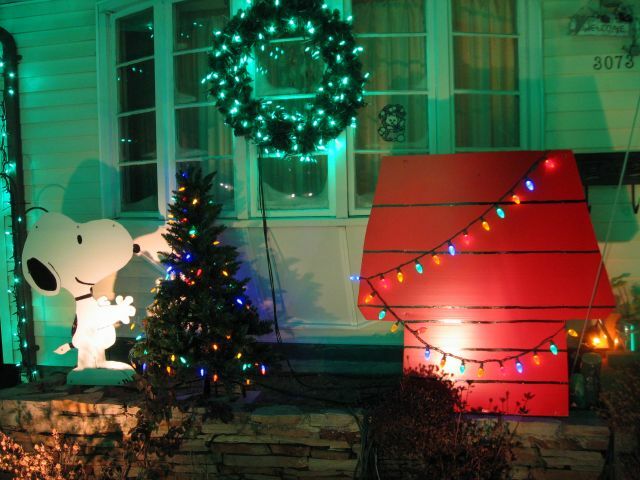 Snoopy, his tree, and his house have been part of our display since 2008. Charlie Brown is putting a red ornament on his tree in another part of our display. The Wreath has 400 LEDs, 100 of each color- white, red, green, and blue. Each color is individually controlled. Rowland Christmas Display 2013 "Music Box Dancer" from Howard Rowland on Vimeo. Rowland Christmas 2013 Wizards in Winter from Howard Rowland on Vimeo. Rowland Family Christmas Display 2013 "Rockin' Around the Christmas Tree" from Howard Rowland on Vimeo. Rowland Family Christmas Display 2013 "The House on Christmas Street" from Howard Rowland on Vimeo. Rowland Family Christmas Display 2013 "All I Want for Christmas is You" from Howard Rowland on Vimeo. 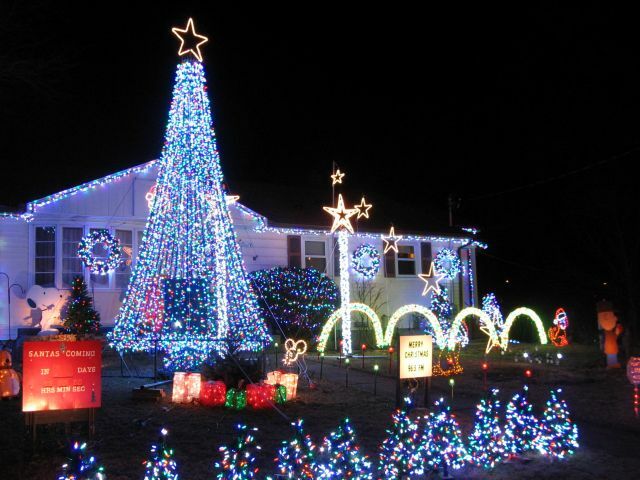 Rowland Family Christmas Display 2013 Blue Christmas from Howard Rowland on Vimeo.